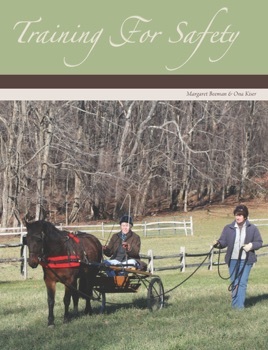 Training for Safety offers specific fundamental training steps to help you achieve the best possible results as you teach your horse to become a safe, dependable driving partner. These techniques include descriptive step-by-step directions and color photos to help you along the way. The safety of you and your horse is emphasized during every lesson. Margaret Beeman and Ona Kiser take no shortcuts as they methodically take you from the first groundwork session to the first drive.